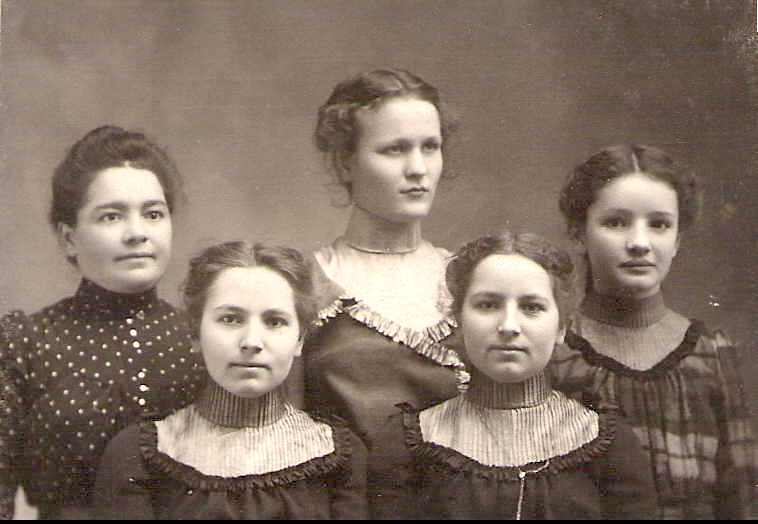 Photograph of twins Katy and Dora Schwabenland (front row) along with three friends in 1901. The Volga Germans often referred to themselves as Unsere Leute (our people). This term provided a sense of community and belonging in both Russia and the early years of settlement in America when much of the world surrounding them was culturally distinct. Below are links to short biographies of individuals and families that migrated from Russia and made Portland their new home. We are grateful to those who have shared their family stories. ​Please consider writing your own family story. Download a template in Microsoft Word format to help you get started. ​Simply replace the fictitious text with the real facts about your family, attach a few photos, and send it to us. That's all there is to it!